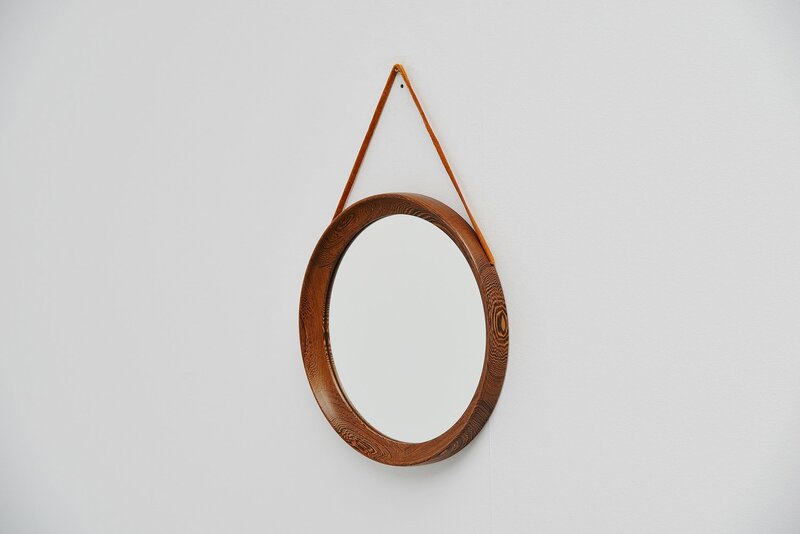 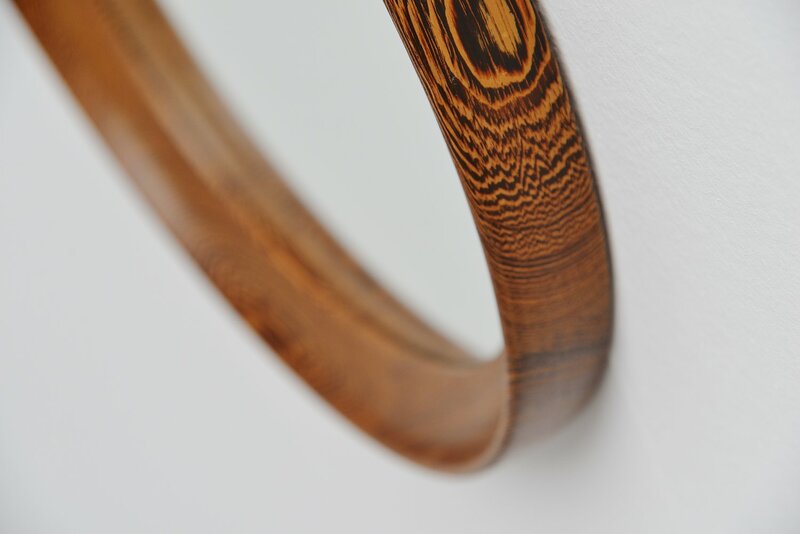 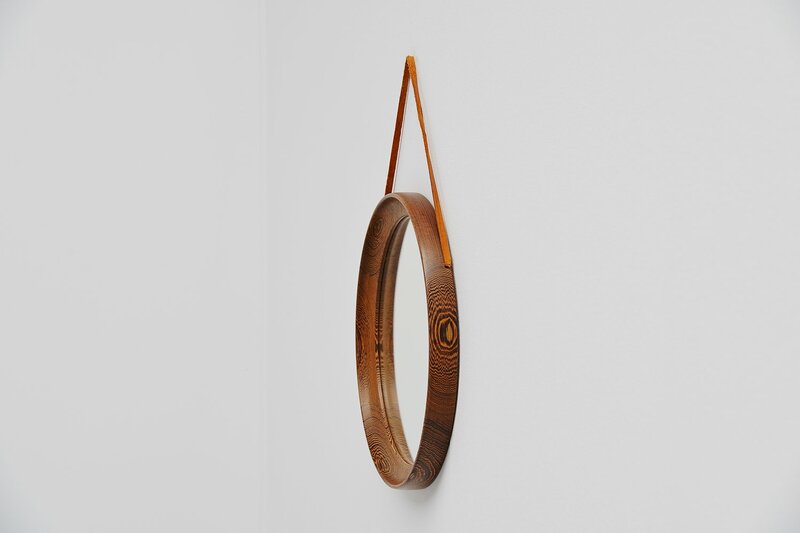 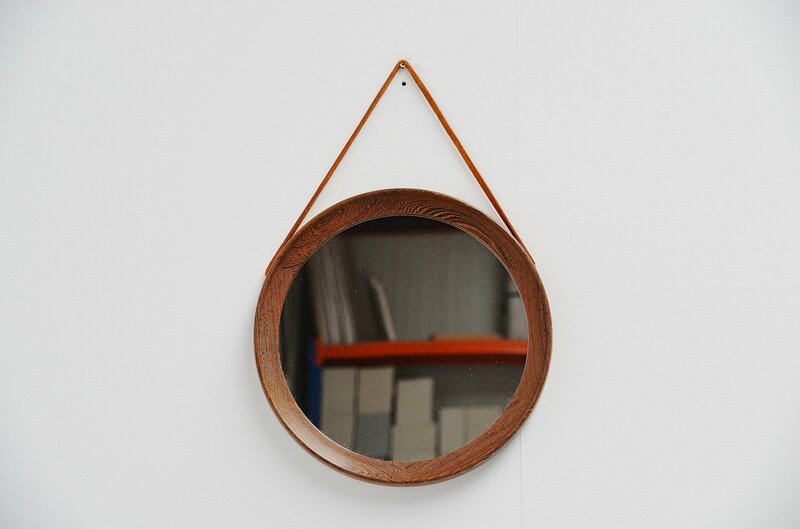 Very nicely made and crafted wall mirror designed by Uno and Osten Kristiansson for Luxus, Sweden 1960. 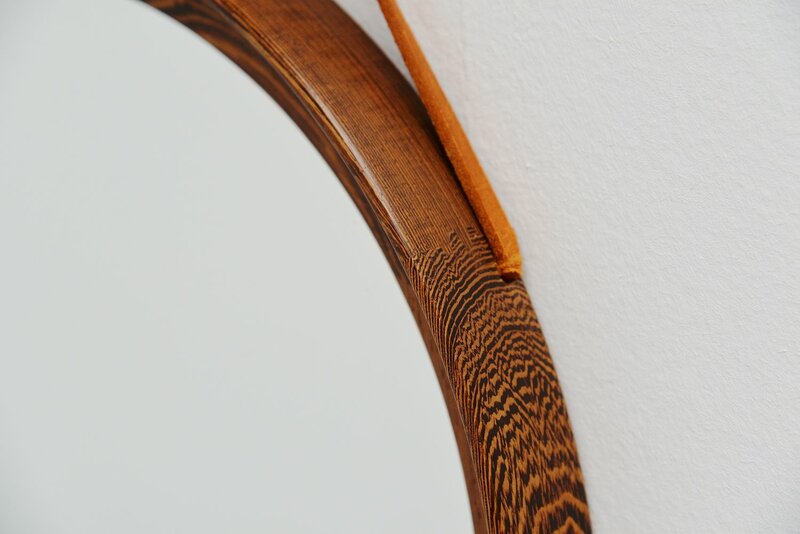 This mirror was made of solid wenge wooden parts with nice dovetail connections and a natural leather strap. 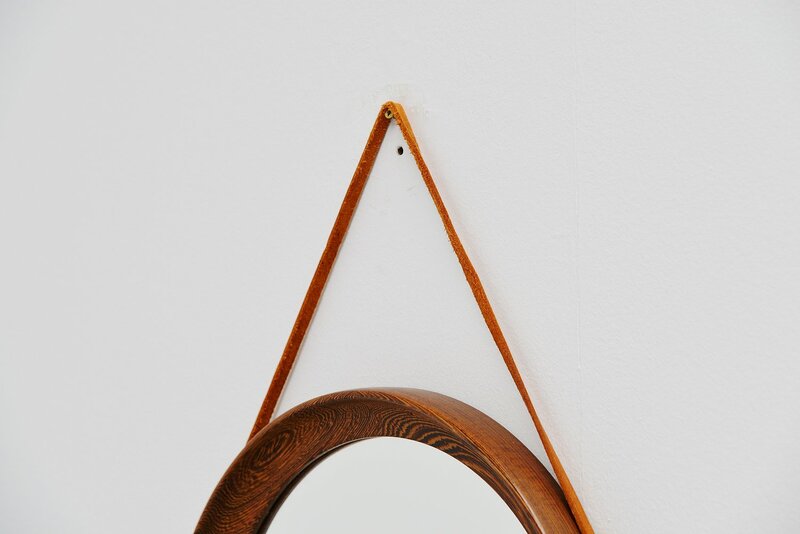 The mirror is very easy to wall hang with only 1 screw. Very nice and decorative piece of design.